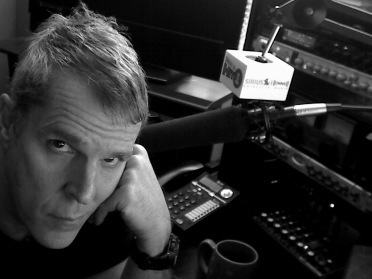 Spyder Harrison is a radio-TV air personality currently heard across North America and Worldwide on Sirius XM Satellite Radio for the past 17 years…as the host of the popular SiriusXM Hits 1 Weekend Countdown on SiriusXM Channel 2. He is also heard weekdays on Hits 1 hosting the midday show as well as nightly on SiriusXM 70s on 7 as his “evil twin brother” J.J. Walker!. He also has been heard locally on major market radio stations across the USA for many years including Z100 New York City, WHYT Detroit, WEGX Philly, Y100 Miami, 933FLZ Tampa, KDWB Minneapolis, and WCXR Washington,DC. In the past decade, voice-tracked dozens of radio stations all over the US including CBS Radio’s WOMC Detroit and WOCL Orlando and many Clear Channel stations. Spyder (aka JJ Walker and The “Jammer”) has also appeared on many TV commercials, hosted a pilot for USA Network and appeared daily on local Detroit TV. In addition to his busy on air schedule, Spyder has built a successful voice-over business and is heard on radio and TV stations worldwide, as well as being the voice of the syndicated Backtrax USA heard on 100s of stations, voice-tracks local radio shows daily, and has been the voice of 1000′s of commercials on TV and radio.